I've been loving LUSH lately. My husband has been looking for a moisturizing hand lotion so that's the main reason why we went to Lush. He ended up getting a sample of the Helping Hands. I wanted to try out more of the shower and bath products. I've seen these shower jellies but never tried them. The sales associate tried out the Whoosh shower jelly on my hand in stores and it felt really nice. 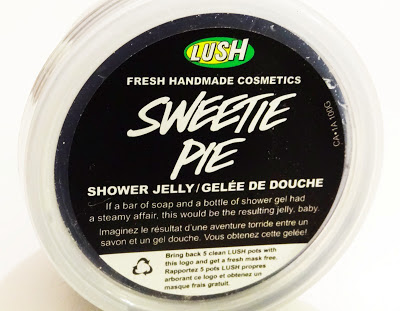 I didn't like the smell of it as much so I decided to try out the Sweetie Pie. ($6.95 CDN for 100g) The 240g of product is cheaper but I first wanted to try it out before I invested on the bigger size. The sales associate told me that you could freeze this or chill it during the hot months and use it in the shower to help you cool off. I love the smell of this, it's so yummy. It says its cherry, and coconut. When I first smelled this it reminded me of those berry squishy candies, it smells like cherry, blackberries, and raspberries mixed. I can smell the hint of coconut, overall I LOVE this scent. 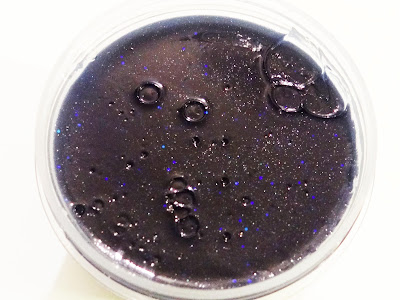 It has sparkles in it and I was afraid that it would be on my body when I used it and I would come out like Edward from Twilight. But the sales associate assured me that it doesn't and I didn't see any when I used it. I love how this looks, and the texture is just like Jell-o. The only thing I hate about this is that it slides and slips in your hands so it's hard to use. I don't think cutting it up or using it in pieces would help. I really love this Jelly and I would repurchase it but I think I'll be mostly reaching for this during the summer months. I can't wait to try it out by refrigerating it. 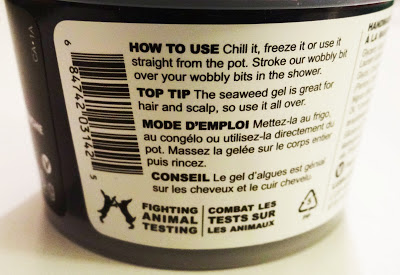 It also says you can use it for your hair and scalp but I haven't tried that out yet.